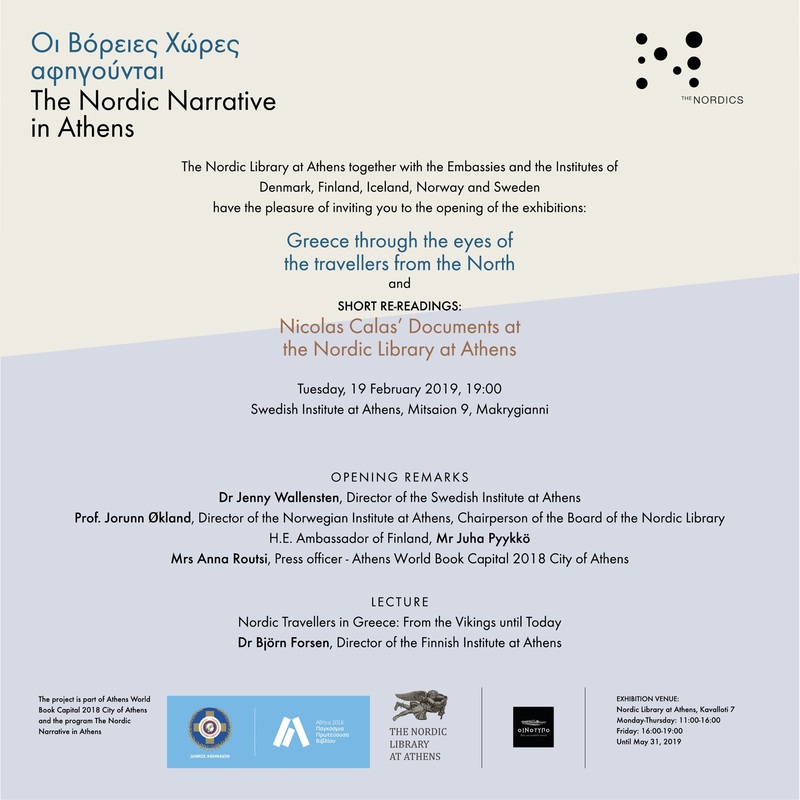 In the framework of the events related to “Athens 2018: The World Book Capital” and the project “Nordic Narrative”, embassies and institutes of the Nordic countries and the Nordic Library at Athens announce the following exhibitions: “Greece through the eyes of the travelers from the North” and “Short Re-readings: Nicolas Calas’s documents at the Nordic Library”. Travelers from Denmark, Norway, Sweden, and Finland describe their journey through Greece and their impressions of the land. These are rare testimonials from both the times of war and peace that span the last three centuries. the product of her artistic interaction with the Calas Archive at the Nordic Library. Opening hours: Monday-Thursday 11:00-16:00, Friday 16:00-19:00. The exhibitions will be open untill the 31st of May.